Neodymium sphere Magnets N35,N36,N42,N45, 50 & N52 have both practical uses and are just plain fun. 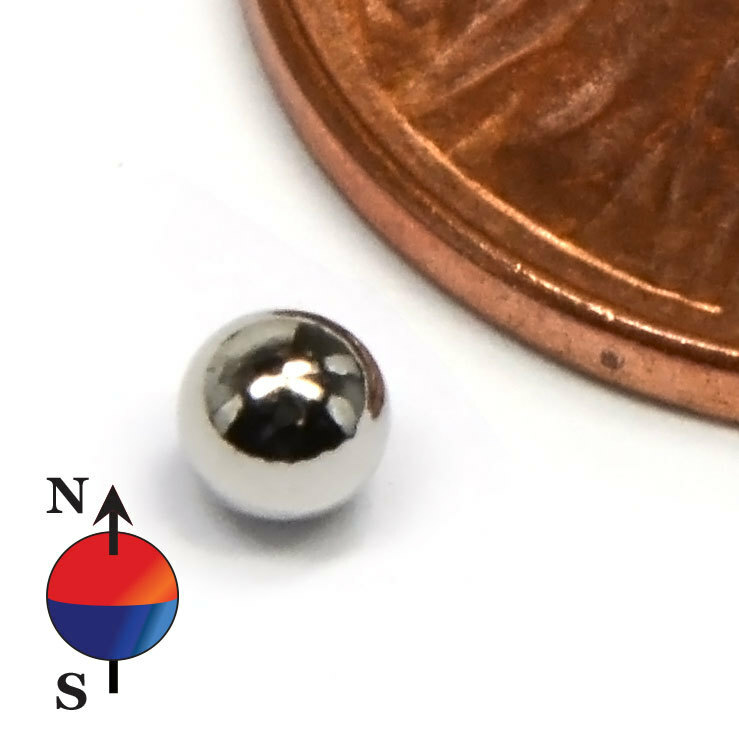 These strong magnetic spheres (ball magnets) range in size from 1/8 inch to 1.26 inches. These ball magnets are used in many chemistry and physics classes, make great “worry beads” and are great to have around. 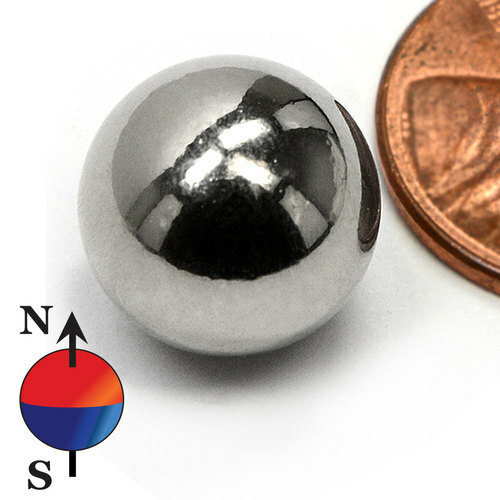 These magnetic spheres are made of strong neodymium magnet, a magnetic material developed in the 1980s and updated many time since. These magnetic ball products are protected by a shinning and nice looking Ni-Cu-Ni coatings, so to protect your ball magnets from rusting. Your magnetic balls maintain their strong magnetic pull up to 80 celsius.